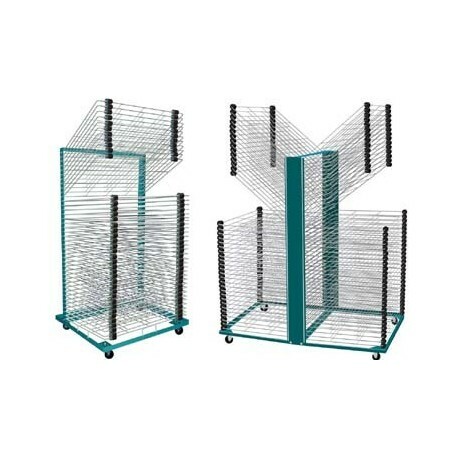 Saturn Drying & Storage Racks Perfect for commercial shops, educational and institutional use, Saturn's newly re-engineered Tensor-18 combines both economy and mobility. The Saturn Tensor-18's versatile rack features deep trays - 18 inches by 24 inches (46 cm or 61 cm), and solid steel construction with two rubber tray bumpers, allowing for sufficient space for airlfow between the shelves. These rubber bumpers not only hold more weight and larger sheets but also maintain stable and proper shelf spacing. The Saturn Tensor-18 also has a positive locking mechanism: Original TrayLock, which holds the rack firmly in place after it is lifted up to adjust or move substrates. The new Tensor-18 has clean powder coated shelves. This also helps for a smoother operation of moving the shelves up and down. The previous Tensor-18 had no finish on the shelves and the base and uprights were poorly protected against rust and wear. The new Tensor-18 has thicker gauge steel wire that makes up the shelves. The new Tensor-18 has one thicker gauge wire instead of two smaller wires welded together to attach the shelf to the uprights. (The two welded wires can break apart, whereas one thicker wire will not). 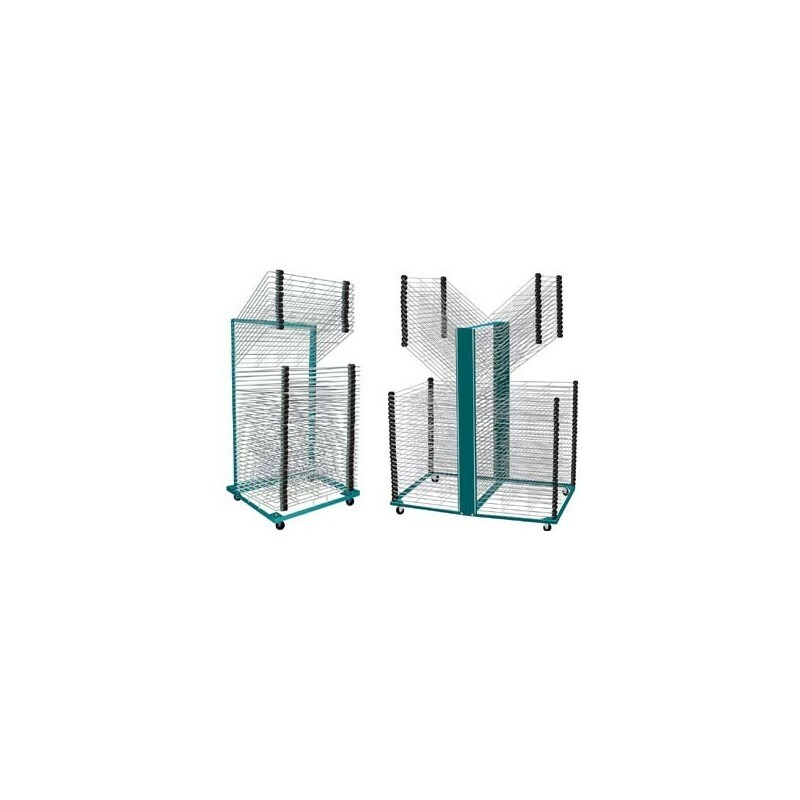 The new Tensor-18 has 6" x 6" mesh which is smaller than the old. Meaning, smaller parts can stay on our rack and not fall through. The new Tensor-18 has backstop wires to catch anything from falling behind when a shelf is lifted, whereas the old model has nothing to stop it. The new Tensor-18 has larger bumpers for more shelf support.